Call GE’s advertising anything but corporate. 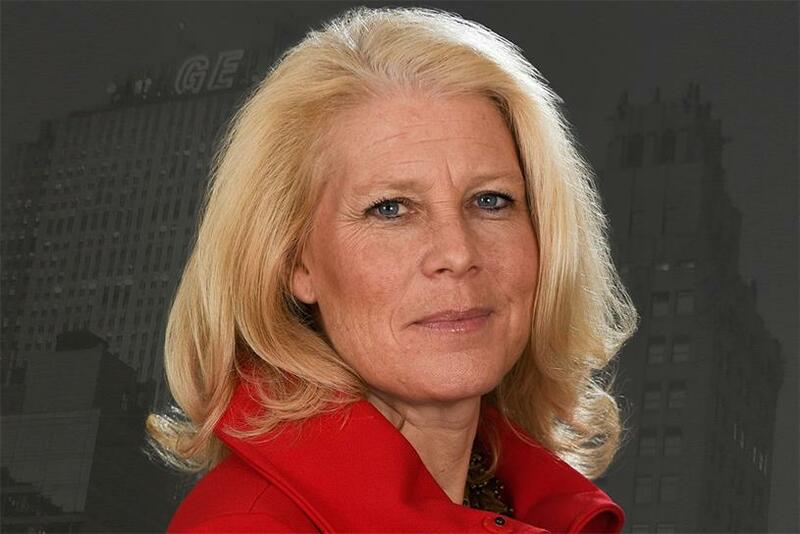 When reviewing work from any of the company’s many agencies, the comment Global CMO Linda Boff doesn't want to hear is, "That’s too corporate," she says. "We strive to be as relatable, as human as possible." That challenge has become all that more important as the company transforms itself from a consumer-tech giant to a digital industrial hybrid. With a global marketing team of about 20 people, Boff, who assumed the role of CMO from Beth Comstock about six months ago, says her marketing budget is dwarfed by the competition, so each initiative has to work overtime. "We take a lot of pride in, as we like to say, ‘Shouting louder than we spend.’"
That means creating "innovative, unexpected" marketing programs, whether its TV ads that poke fun at its geeky culture, or a sci-fiction podcast like "The Message," or an online video series — "The Unimpossible Mission" — that makes science as exciting as an action film, or custom comic books, or a six-part documentary series on National Geographic. "When a brand has been around as long we have, for 135 years, people know you and that's great, but it's also the challenge," says Boff, who has been with GE since 2003. In the first of a new series in which we discuss the creative process with marketers, Campaign US interviewed Boff about the challenges of marketing the iconic brand as a "digital industrial" company. "What’s the matter with Owen?" represents GE’s first attempt to reposition itself as a digital-industrial company in the eyes of consumers. How successful was the introduction? The campaign was designed to communicate what GE is becoming. It was not overtly a recruiting campaign, although we used recruiting as a natural hook. It was to establish this idea that we are leading in this merge of digital and physical, and then, secondarily, to talk to software developers. We saw an eightfold increase in recruiting, as well as overall awareness — with our customers and, with our partners — really breaking through. How challenging was it to translate that internal digital industrial message into a consumer-facing idea? I think this insight that GE is not the company you think it is, which is obviously a big purpose behind the original set of ads. "Why would a developer go to work at GE?" I think the big pivot was finding a way that was interesting, human, empathetic, that had a little bit of self-deprecation and a little bit of humor. It just goes a long, long way. When you're a big company like we are, I think it's doubly — it's probably triply — important to show up in a way that is human and likable. How do you define good work? Good work is something that touches you so you want to talk about it; you want to share it. [Also does] it makes sense for the brand. There's kind of that, what I call, double nod. It might surprise you a little bit, but then you kind of nod and say, "Oh yeah, of course that makes sense." Awards are an important measurement tool for the industry. How important are they to you? Not that important, to be super honest. They're the icing on the cake. They are less meaningful to me personally than work that actually is well received by the audiences that we care deeply about. We are marketing to people who share our passion about science and invention and innovation. I would much rather that our work be embraced by the right people because I think that people who obsess and love your work, if you have enough of them, it doesn't really matter about the ones who don't. To me that's job one, if the work is great and it wins awards, fantastic. What pet peeves do you have about the agency creative process? What would you change if you could? I think that there is this holdover to presenting work to the client. It's those words, "presenting work to a client." That sort of conjures up these beautifully packaged set of concepts. There's a time and a place for that. I'm a roll-up-your-sleeves kind of a gal, so I really love getting into the weeds some of the time, probably a little more than what the agency might love. I guess if I had a pet peeve, it's that I think 80% sooner can be better than 100% and perfect, waiting to polish every stone. How do you create work that appeals to both the general market and the stock market? I am a firm believer that analysts and CEOs and CFOs don't log into a different Internet at night than consumers do. I think there is such a thing as just great content that resonates. Former CMO, current vice chair, Beth Comstock has this great expression, "B2B doesn't mean boring to boring." Poll: Who will pay the price if overtime is extended?